A new app appeared for iPhone users on the App store today. The app is called FitClick, and it is developed by Genesant Technologies. 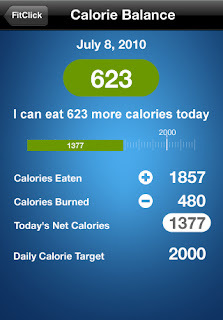 FitClick for the iPhone is the first app that offers a full set of diet and workout features. The app has a lot to offer: calorie counter and food journal, customized diet plans and workout routines, diet and workout trackers and calories burned tracking. Besides, more than 800 exercise demo videos and a database of 118,000 foods and 12,000 recipes are included in the app. The big advantage of the FitClick app is its full access to the FitClick.com web site. There you’ll find several diets and fitness programs, you'll learn about weight loss and find several helpful tools. 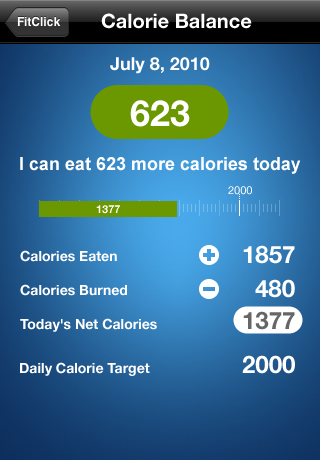 No other app allows users to create their own diet plans and workout routines. It is easy to track your food and calories as well, burned or eaten. Additionally, you can use programs created by the site members and track these diets and workouts with the FitClick app on your iPhone. Besides the best technology and an easy-to-use interface, FitClick offers users with a steady resource of fresh diet and fitness content.